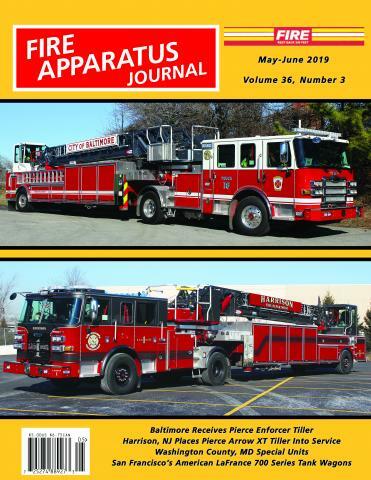 Submission Guidelines | Fire Apparatus Journal Inc. Thank you for your interest in FAJ. Your contributions of photos, news items and feature articles are welcomed. We would like to take this opportunity to offer some helpful suggestions. FAJ focuses primarily on fire apparatus, both past and present. Both contemporary and historical features are welcomed. There is very little space allotted for random photos that are not directly a part of an article, therefore, you increase your chances of being published if you write an article. WRITING: When gathering information for an article, avoid the use of "second hand" information, hear-say or "rumors." Verify your information from authoritative sources. When writing about a specific department, provide a short synopsis of the city (area, population, type of hazards, etc.) and of the department (# of personnel, # of stations, # of each type of unit, etc. ), but the bulk of your article should focus on its apparatus. Points to cover on apparatus include manufacturer, year, unit assigned to, pump and tank capacities, height of aerials and platforms, unusual or innovative features, year rebuilt, and anything else of interest. Make sure to include a current apparatus roster separate from your manuscript for verification purposes. All information on this roster should be included in your text. REQUIREMENTS FOR SUBMISSION OF ARTICLES: Articles and images should be submitted by email. Send your articles to: fireappjnl@aol.com. We use Microsoft Word on a Power Mac. Please save your document as a "text only" format. MATERIALS: If your article has historic photos to illustrate it they should be scanned at a high resolution. We print at 350 so all images are converted to a resolution of 350. That means we should be able to use your photo up to 8X10 in size at 350 without loss of sharpness. We can arrange to scan your photos if necessary. Contact us by email. PHOTOS: Your photo contributions are what makes FAJ the magazine that it is. We rely on apparatus photographers throughout the world to get us top quality photos. Following are the types of photos we require for quality reproduction. COLOR: High-resolution digital images are preferred over all other modes. Digital images should be shot at the highest resolution your camera allows. Send us an unaltered "as shot" image in .jpg format. Do not send more than one image per e-mail and send the image as an attached file. When naming a digital image include your last name at the start of the file name. Please be sure to include all information on the apparatus in your e-mail. Do not try to include the year, make, capacities, etc., all in the file name. File names should be simple: photographer's name, department and unit number will suffice (example: SmithAnytownE1.jpg). Be sure to include your name in the image file's name. It is possible to reproduce color from sharp color prints but we generally avoid this because prints are never as sharp as transparencies and a good color slide will always beat out a color print in the battle for limited color space. BLACK & WHITE: For quality black and white photo reproduction we require crisp, contrasty, well-exposed prints. Generally, the larger the print the better the reproduction but smaller prints are acceptable. It is better to reduce a larger print than to enlarge a smaller print. We do not reproduce from negatives, instamatic, disc, 110 or 126 films, half frame 35mm or "instant" prints, nor do we use telephoto, zoom or wide-angle shots because these tend to distort the apparatus. Please do not send such photos. When selecting a slide or print to send to FAJ, select contributions that are not blurred, out of focus, poorly exposed, poorly composed, or taken in dark, gray weather. No part of the apparatus should be blocked by people, vehicles or any other obstructions. Apparatus and compartment doors should not be open. Backgrounds should not be cluttered. The apparatus views we select for publication the most are those that are 3/4 front-side views with sun shinning on both the front and side of the vehicle with all shadows behind the rig and no shadows or obstructions blocking or projected on the vehicle. There should be some space in front of and behind the vehicle so we can do some cropping of the photo without cropping into the vehicle, in other words, the photo should not be "bumper to bumper." However, don't stand so far back that the resulting photo is a small image of the vehicle. The vehicle should fill up 90% of the length of the photo. Photos that we decline to use are usually refused simply because of space limitations and the contributor should not feel thwarted in contributing again in the future. Other causes of rejection are lack of sharpness, strange color due to brand-X film or processing, underexposure or obstructed vehicle. No payment is made for use of photos or articles.